Pre-Strung Metal Rim Tags - 1"
Pre-Strung Metal Rim Tags - 1 1/2"
Pre-Strung Metal Rim Tags - 2"
Metal rim tags are an incredibly versatile product that can be used for many different purposes by a wide variety of different businesses. 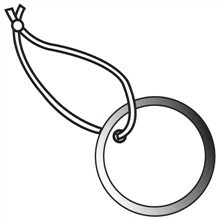 Whether you’re a retail store or gas station needing to label keys for stockrooms, warehouses, and washrooms; an automotive dealership using them for test drives; a factory identifying small parts; an office keeping track of keys to filing cabinets and gates; or just about any other business, pre-strung metal rim tags are always useful and valuable. They can easily be used with tags in a wide variety of different colours, making it easy to identify keys and parts. You can even write on the labels to make the process clearer. They are strung already, making them simple and practical to use. 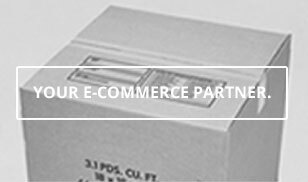 At the Packaging Company, we have years of experience in providing businesses with the products they need. We know you don’t have the time to search through various different providers to get what you want. That’s why we offer a large variety, so you can get everything you need all in one place! You can trust the Packaging Company to have the products you want at prices that work for you. Warehouses and repair shops use metal rim tags for identifying parts, offices use them for keeping keys to filing cabinets and other important areas organized, and businesses of all types use these tags to make day-to-day business operations easier. At the Packaging Company, this is our goal. We want to make things easier and help your business succeed. Whether you are looking for pre-strung metal rim tags, or any other organization or shipping products, we’re here to help. Give us a call or an email today to discuss your needs or take a look at our products online. We provide high quality products at affordable prices and would love to hear from you.